As the first new residence hall built on Salem College’s campus in 60 years, the McHugh Sisters Flats is a physical manifestation of the College’s growth and commitment to the future. It’s location—both a historic site and the cornerstone of potential future growth—connects past, present and future. The building’s design had to do the same, paying tribute to Salem College’s history and historic campus yet integrating contemporary elements and function. Key design elements link the building to the rich architectural history of both the College and Old Salem by referencing specific buildings or building traditions. The Flemish-bond patterned brick exterior and solid base relate visually to historic buildings on campus and its Old Salem environs, as do the vertically proportioned, muntined windows with their masonry arches. The Moravian hood above the north entry is another direct visual and architectural link. The decorative ironwork pattern on the building’s Juliet balconies is taken from that of the gate joining South Hall and Main Hall—a gift to the College from the class of 1906. 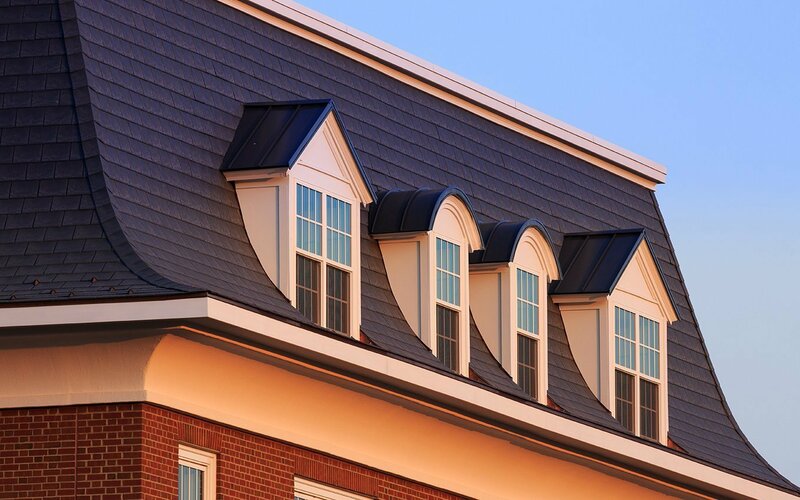 The graceful mansard roof—perhaps the most distinctive part of the new building—echoes that of the neighboring Fogle Flats as well as other Second Empire-style buildings in Old Salem. With its gabled and rounded dormers, the mansard allows the building to have a full fourth floor while minimizing the building’s visual mass. On the south side, columned porches with “haint blue” ceilings overlook Salem Moravian’s God’s Acre and the pathway leading to the heart of campus. On the interior, hallways become “streetscapes” with vibrantly colored doors, each outfitted with the flat number and a door knocker. In this way, the six flats on each floor have a distinct identity. 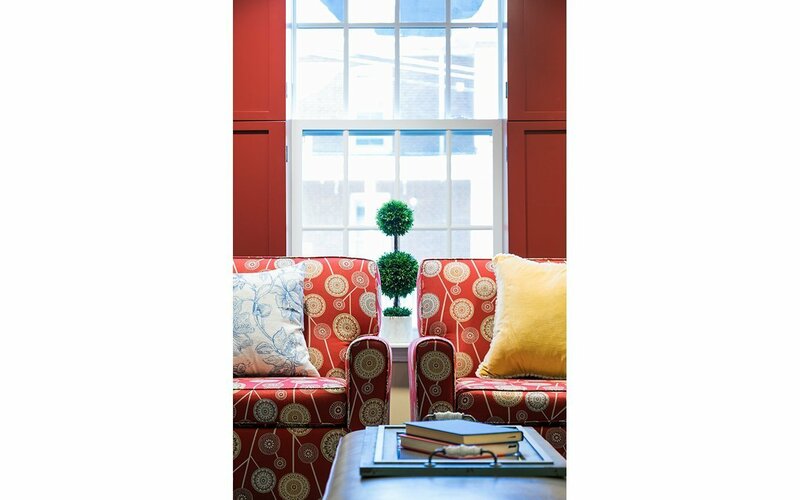 Large windows open up the interior of the flats, bringing in daylight and providing exceptional views of downtown and the surrounding historic neighborhood. 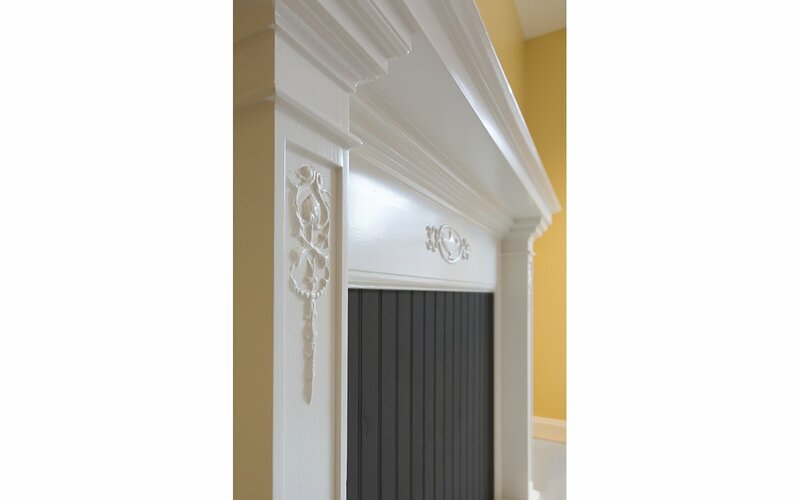 Throughout, old materials are reused or reinterpreted. Repurposed architectural elements from the site’s original 1913 Hyphen House connect the McHugh Sisters Flats to the history of its site. A cupboard, or “shrank,” made circa 1830-1850 in the Karsten Peterson & Sons shop in Salem, sits in a nook in the community room. Details from hand drawn botanical watercolors and pastel sketches from the College’s Archives adorn walls, along with photographic studies of architectural elements found on Salem’s campus. Distinctly modern elements link the building to the future. Tradition is respected, but not replicated. The building is fully secure and networked—critical to today’s needs. 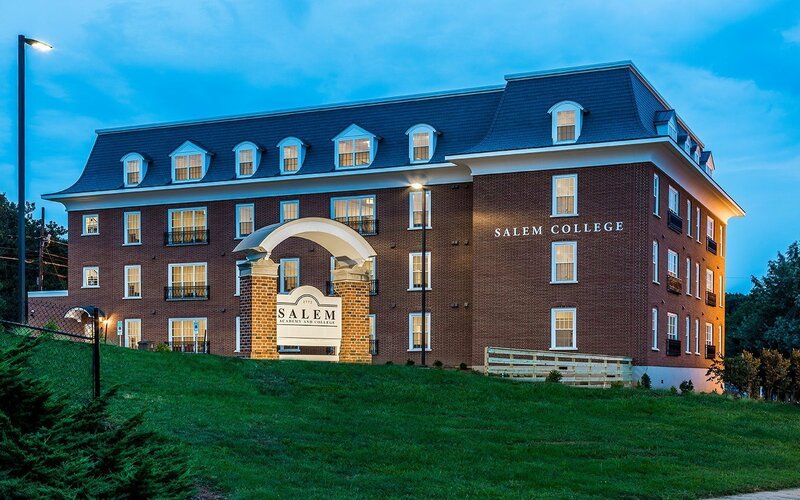 As a state-of-the-art apartment building that includes modern amenities and technology, the new residence hall will serve the needs of Salem College students for years to come.